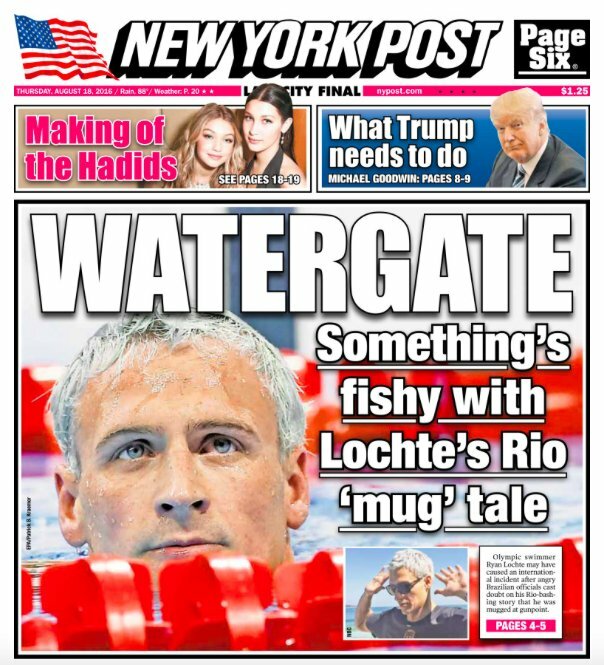 The theft that I am referring to here has nothing to do with Ryan Lochte, but this headline was too amusing to not include. Image via KFBK News Radio. A few days ago, I wrote an article for the Montgomery County Republican Party’s newsletter about how Olympic athletes are subject to taxes on their winnings in America. Two major events have happened since then. The first is, of course, LochteGate, and the second is that House Leader Kevin McCarthy announced that the House will debate a bill identical to the one passed in the Senate the removes the taxes levied on medals for Olympic and Paralympic athletes. This is a complete no-brainer and I can only hope that it passes smoothly when the House reconvenes. Maryland’s renown for blue crabs is now rivaled for its Gold Medal tally. If Maryland were a country, it would rank in the world’s top ten countries to win Gold Medals. Michael Phelps and Katie Ledecky have been making Marylanders proud since well before the Rio Olympics started. In fact, the Baltimore Ravens stopped playing a preseason game to watch Phelps win his 22nd Gold (this was clearly a good omen for them, because they beat the Carolina Panthers 22-19). In addition to this positive attention, Phelps and Ledecky, as well as every American athlete to medal in the Olympics are also getting recognition from Uncle Sam in terms of the taxes they have to pay on winning. 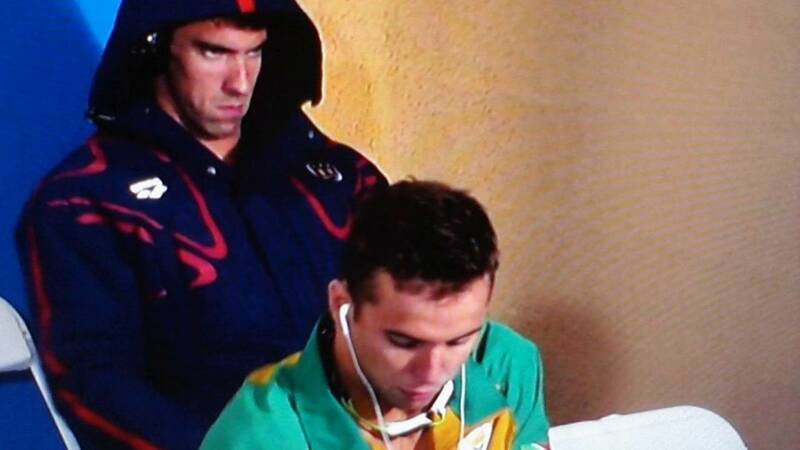 Maybe this is the real reason for his famed Phelps Face. The fact that Michael Phelps has had to pay tens of thousands of dollars in taxes for being the best swimmer in the world would be a pretty sufficient reason to make a #PhelpsFace every Tax Day. Image via YouTube. In the eyes of the IRS, winning a Gold Medal is the same as winning the lottery, and you are taxed accordingly. The comparison between winning something in a pure stroke of luck and being the best at something in the entire world makes no sense, and most countries waive the fees that their winning athletes would have otherwise had to pay. Back in 2012, Marco Rubio introduced a bill to ensure that Olympians avoided taxes on their winning, and a similar version was passed this year. Its House counterpart is still in committee, but, if passed, President Barack Obama is expected to sign it since he has previously expressed his support for such measures. How much is each Olympian charged? A Gold Medalist receives $25,000, a Silver Medalist receives $15,000, and a Bronze Medalist receives $10,000. However, they don’t keep nearly that much, with a study by Americans for Tax Reform concluding that these medalists owe as much as $9,400, $5940, and $3,960 for each win. Athletes are charged not only for their prize money, but also on the value of the medals themselves! In case this seems trivial, consider athletes such as Simone Biles and Michael Phelps, who have both won several Golds in a single Olympics. Both Biles and Phelps are considered among the best athletes in history in their respective sports (Phelps even broke a world record set by Leonidas of Sparta over two thousand years ago!) Biles will owe as much as $43,500 in taxes on her winnings, and Phelps will pay as much as $55,000. Is this really how we want to treat the man who carried our flag into the Parade of Nations? I don’t think so. Fortunately, this seems like an issue with enough bipartisan support for it to be resolved by the time Maryland athletes are sweeping the 2020 Tokyo Olympics. Previous Previous post: Is Donald Trump’s Outreach Plan to Colorado’s Millennials a 12 Year Old Campaign Co-Chair?